Winds shifted in the afternoon toward Escondido at the Cocos Fire, one of the May 2014 wildfires that struck in San Diego County. San Diego County residents who suffered damages in the May wildfires might be able to generate a quick refund by embracing this tax break – applying their losses to their 2013 taxes, the state Franchise Tax Board said Thursday. A bill by Assemblyman Brian Maienschein, R-San Diego, that designated the fires as a state disaster was signed into law by Gov. Jerry Brown. According to the state tax agency, special tax rules allow victims to claim a loss in either the year the disaster occurred or in the prior year. Typically, taxpayers must deduct losses only in the year of the disaster, FTB officials said. The advantage of claiming damages in the prior year is that the loss will generally reduce the prior year tax liability, creating a refund that the tax board can issue quickly. 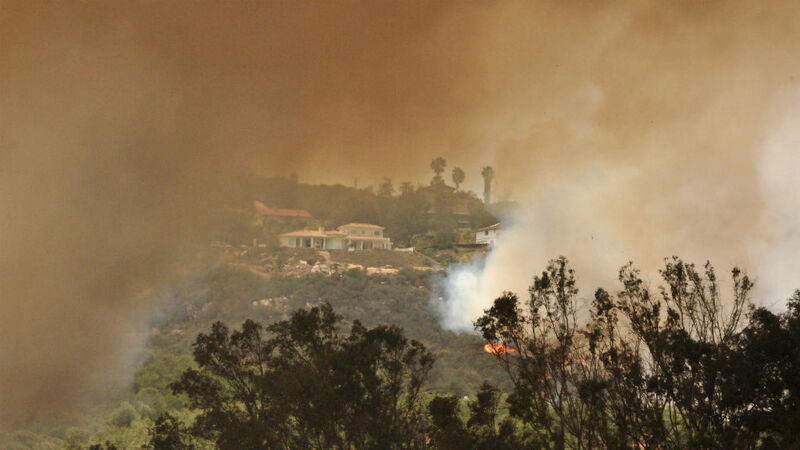 San Diego County was struck by 14 wind-driven brush fires in May, which collectively scorched 25,000 acres and caused nearly $30 million in property damage. Disaster victims who have not yet filed their 2013 tax return can claim their loss on their original tax return, according to the FTB. Taxpayers who have already filed their 2013 tax return can claim a disaster loss against that year’s income by filing a Form 540X, Amended Individual Income Tax Return. Taxpayers should write, “DISASTER — SAN DIEGO WILDFIRES 2014” in red at the top of their tax returns. Disaster victims have until Oct. 15, 2015 to make their disaster loss deduction on their 2013 taxes. Different deadlines apply for fiscal year filers. Taxpayers who need copies of lost or damaged state returns should complete Form FTB 3516, “Request for Copy of Tax Return,” which can be downloaded online. Disaster victims can receive copies of tax returns for no charge by writing, “DISASTER — SAN DIEGO WILDFIRES 2014” in red ink across the top of their request.